For years, ASEAN officials – the bureaucrats in the governments and the Secretariat – have zealously guarded the ASEAN name like high priests, even while they claim that their ultimate aim is to create one region wide community and identity. 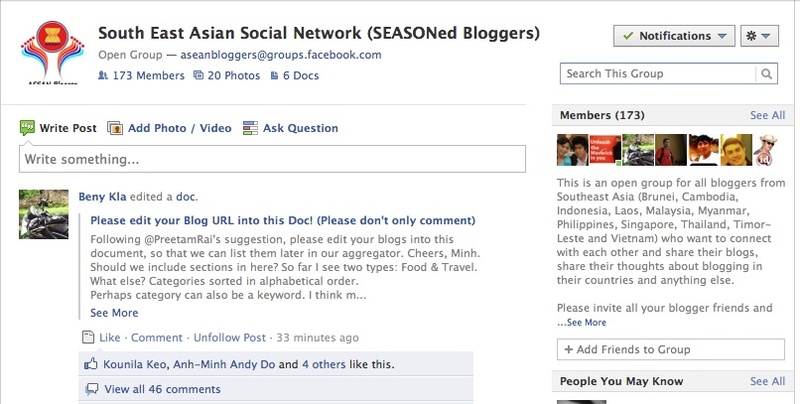 So it is with some irony that when the bloggers in these countries finally get together – where else but in cyberspace and in Facebook at that – they decided not to call themselves ASEAN bloggers but the South East Asian Social Network (SEASONed) Bloggers. Kudos to them for showing the authorities that they are no one’s tools for pledges, swearing ins and declarations and pabulum that is soooo ASEAN. Now the Facebook is humming with ideas about aggregating blogs throughout the region and other initiatives. This, of course opens up the question of what the ASEAN Secretariat and the governments should be doing to engage the region’s youth and its bloggers, now and especially in the future. There will be lots of temptations for ASEAN and its consultants to try to bring bloggers under their fold to serve some bureaucratic itch for ostentatious displays of loyalty and regional camaraderie by forming groups and having them perform arcane bureaucratic rituals. But that would be folly. Trying to control bloggers is worse than herding cats. The best thing the ASEAN evinces can and should do is to create the infrastructure and platforms for bloggers to meet, exchange ideas and do their own thing – as they are now doing on Facebook without – or in spite of the help of authorities. @wongiseng: Good spot! I didn’t notice the address but did notice the logo. I think I posted a suggestion for them to change the interim logo while coming up with a new one but can’t find the comment now in the swelter of new posts there and overlooked mentioning it in the post. Thanks for pointing it out. Asean more familiar than if we use “SEA”. Indeed. But what seems telling is the explicit rejection of young SE Asians of the ASEAN name. A failure of the bureaucrats to instill the spirit of One Community…blah blah blah? Mitt Romney: US moved Indonesia toward modernity in the 1960s. Yeah, right.